The journey to the Moon was a culmination of years of work. Several previous missions had launched satellites and probes into space, as well as manned flights and space walks. On October 4, 1957, Russia launched Sputnik, the first satellite to ever orbit the earth. That same year, Russia launched the first animal, a dog named Laika, into orbit. On April 12, 1961, Russia successfully sent the first human into outer space. Cosmonaut Yuri Gagarin orbited the earth for 108 minutes. In 1965, the Russians also completed the first spacewalk. Not to be outdone by Russia in the heart of the Cold War, the U.S. decided to send a man to the moon. On July 16, 1969, Neil Armstrong, Edwin Aldrin (Buzz), and Michael Collins launched from the Kennedy Space Center on the shuttle Apollo 11. Four days later, the lunar module separated from the command module and became the first manned spacecraft to land on the surface of the moon. Since then, we have landed vehicles on Mars. We have sent satellites and probes to observe all of the planets in our solar system as well as our Sun. 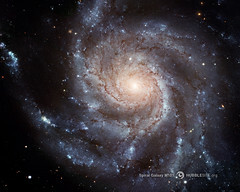 We have used the Hubble Telescope to capture images of suns and galaxies millions of light years away. We have a space station where astronauts can live in space for months at a time. It’s been an amazing journey – and there is still so much left to discover. Interested in learning more about the history – and the future – of space travel? Come see Dawn of the Space Age, a new planetarium show on the Apollo space missions, the Space Race, and expected NASA exploration. Learn a few more fun facts about Apollo 11’s mission. Previous Post Happy Birthday Year!